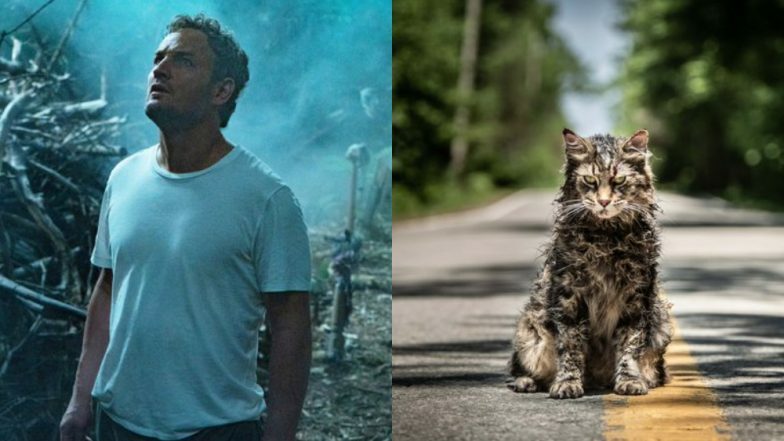 Pet Sematary, a horror movie based on a book by Stephen King, released today in Indian theatres. The movie's trailer has been cut impressively enough to draw the audience to the theatres. While we were not very impressed with the movie itself in totality, there were some subtle nods to Stephen King in the movie, that were entertaining to spot. The said Easter Eggs are hidden all over the movie from start to end. Though not in plenty, just enough to give this movie a watch. So, before we proceed to talk about those Easter Eggs, we should warn you SPOILER ALERT. Once again, if you are planning to watch the newly released Pet Sematary, turn away now and do not read this article. The movie tells the story of a father who discovers a cemetery, in the forest near his house, which can bring the dead back to life. Stephen King wrote the story of Pet Sematary and locked it in a drawer for three years before publishing it as a book. A movie was made in the '80s on the book. The new film, though based on the same story, makes changes to the story that elevate the spooks. Elli plays the kid who is at the thick of all the supernatural tension that unfolds in the film. She earns a special spot in the heart of her friendly, widower neighbour, Jud, with her kindness. During her birthday party, Jud can be heard talking about a dog that caught rabies. This is a reference to Stephen's book Cujo, which was also turned into a movie. Pet Sematary is set in Maine. During the climax, Rachel - the mother - is stuck in a traffic jam while on her way to her home. We see a signboard on the road that reads, Derry, a town which is 20 miles away. It is the same town from the Stephen King's book IT that is haunted by the clown, Pennywise. Pet Sematary is set in the town of Ludlow, Maine. The story in the book and the movie, The Dark Half, is also set in the same town. During the beginning of the film, a signboard can be seen - D. Torrance Realty. A subtle nod to Danny Torrance, the kid survivor in the book and the film, The Shining. So, those were the easter eggs we spotted in Pet Sematary. Do tell us on Twitter - @latestly - if you spot more when you watch the movie.